Sergio Marchionne, who launches juicy quotes with a damn-the-torpedoes gusto rare in the corporate world, scored a four-bagger recently: two political fire storms and two jabs at rivals in a single speech. At a San Francisco conference, the Chrysler/Fiat CEO responded to a question by joking about "shyster rates" Chrysler was paying on government bailout loans, then speculated that Fiat and Chrysler could merge someday and could be based in the United States. A day later, Marchionne was apologizing for the "shyster" remark, noting Chrysler was grateful for the loans that had kept it alive. Meanwhile, in Italy, he was being pilloried for suggesting Fiat, a national treasure, might be shipping out. 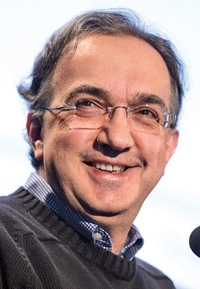 Welfare Minister Maurizio Sacconi said Marchionne would be quizzed by the government, and Industry Minister Paolo Romani told a reporter that Turin must remain Fiat's headquarters and nerve center for product decisions. -- At Ferdinand Piech, Volkswagen's chairman, who lusts for Fiat's Alfa Romeo brand: "As long as I'm the CEO of Fiat and Chrysler, Mr. Piech will never have Alfa. ... I told him in his face. I'm repeating it publicly, and I'll send him an e-mail if you like." -- At ex-owner Daimler-Benz for trying to make Chrysler German: "I saw a booklet that was distributed to the managers of Chrysler. Three quarters of the words were in German. If you think there's no English equivalent for the word you use in German, you're nuts."